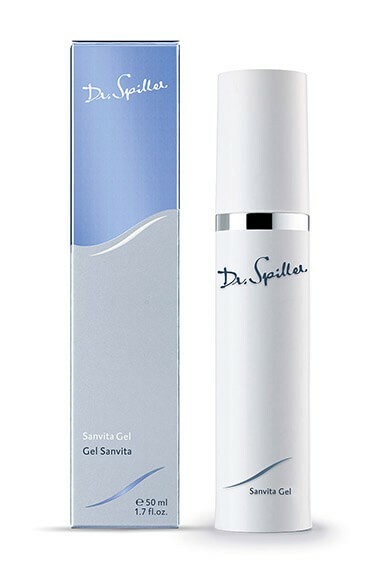 Sanvita® Gel calms and thoroughly moisturizes skin stressed and irritated by environmental factors. The skin appears relaxed and refined. Sanvita® Gel protects against environmental factors, helps prevent skin stress and deeply hydrates the skin. With select ingredients such as Chinese Skullcap, Pomegranate, Green Tea and Ginseng, the skin is deeply nourished. Neutralizes free radicals, refines the skin’s texture and is highly effective in preventing premature skin aging. For a thoroughly relaxed appearance. Apply Sanvita® Gel to face, neck and décolleté morning and evening after cleansing. Follow with Sanvita® Cream.